It’s day 4 of our Spring Cleaning Week and homes are being uncluttered, domains are being organized and our followers are feeling good! Just the way we like it. Today’s tip can be applied to almost any room in the house, which makes this challenge much more fun. This tip when incorporated throughout your house will simply change your life! Organize the canned tomato products together in your pantry. Hang all the skirts together in your closet or line up all your sandals together in your shoe rack. Whatever it is, it doesn't matter. Just put like with like. Where ever you chose to incorporate this tip, is totally up to you. Take pictures and post your results! Your closets, book shelves, desks, and especially pantries will never be the same again. SHARE. SHARE SHARE! And make sure to tag Uncluttered Domain on our social sites to enter to win the Spring Cleaning Week prize. When it comes to organizing a home, there’s nothing like paper work to cause some pretty serious clutter mayhem. 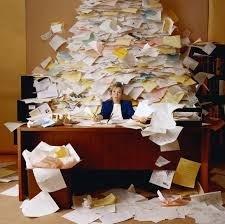 Paper work is one of the hardest things for most of us to organize. It’s hard to keep up with, it’s hard to get rid of, and it’s small so only when its accumulated to dangerous cluttering levels do we usually realize that there is a problem with too much paper work. Make a vital records keeper. Buy a water tight file box that is around 13 11/16 “W X 10 3/6 “L X 11 7/8” H in dimensions. From there, have fun. Pick out file folders of any colors or patterns that you like. The only rules is that the files all have to look different. Color coordinate each folder and then create a label. Your label could just be a simple hand written or typed up piece of paper that identifies what each colored folder represents. Tape this label on the inside of your file box but with the wording facing out towards you. You should be able to see the label while the file box is closed. We know it could take a week or even a month in and of itself just to gather and filed all your most vital records. For this challenge, pictures of the box and folders are a great start. We can’t wait to see! We've been getting some great feedback from our Spring Cleaning Week Challenge and are so /impressed with the way some of our followers sorted through their rooms after yesterday’s tip. Organizing memorabilia is something many people find challenging because we often lack efficient storage solutions and therefore we end up letting our memorabilia clutter our home. For children’s’ artwork and projects you can designate one bulletin board for recent/seasonal projects. Kids love to see their art work hanging up. 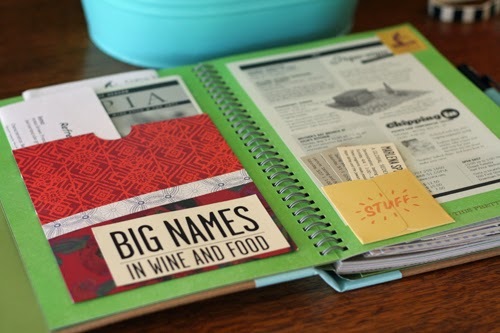 When you go to hang up something new take something old down and store the older item in a large folder. Go back to the folder later and take photos to file on the computer of the accumulated art projects or store the older projects in a photo album. Scarves, hats or any family heirlooms can draped over a dresser or hung on a wall with a decorative hook. Event tickets can be laminated and used as a book mark. There is no right or wrong way to store memorabilia. 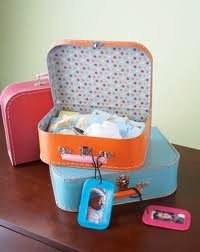 Have fun with it, be creative but just make sure that the memorabilia is not crowding surfaces and is out of drawers. Show us how you've stored your memorabilia! These are going to make for some fantastic pictures. Let the world see your savvy organizing skills. Remember, whoever gets the most likes wins a prize. This week kicks off Uncluttered Domain’s Spring Cleaning Week in celebration of the first day of spring! 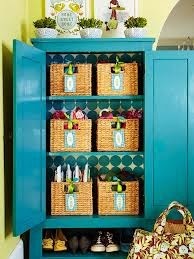 Each day this week we’ll be posting different blogs on tips for getting your home organized and ready for the spring season. The key to a good spring cleaning is to have fun! So we invite you, to take the Spring Cleaning Week Challenge with us! Follow the daily tips posted on our blog throughout the entire week. Post pictures of your finished work after you've followed the daily tip on Facebook and Twitter. Make sure to tag us on Facebook @Uncluttered Domain Inc. and on Twitter at @UnclutteredMove #springcleaningweek. Whoever follows our Spring Cleaning Week tips the best and gets the most likes, wins a prize! The tips will be posted Monday-Friday. Contestants have until Sunday 3/23 to share all of their pictures from throughout the Spring Cleaning Week Challenge. Please email hannahtoran@UnclutteredDomain.com all 5 pictures by Sunday 3/23 to make sure we have everyone participating. The winner will be announced Wednesday, 4/2. So now are you ready for a fresh new start this spring season? First things first. Decide when, where, and what. When will you begin to start organizing your home? Pick a date. Where will you start first? Pick a room in the house to start with. What is your goal? Focus in on one goal. Once you have decided when, where, and what, you’ll need to start gathering helpful tools. I recommend bringing a collapsible basket, such as a fold down empty mesh laundry hamper, and two large bags of different colors. These different colored bags are great for sorting. Use the colored bag for items you wish to get rid of and items you can donate can go into a clear bag. · Have you used this item within the last 12 months? · Do you need it for legal or tax purposes? · If it’s broken, will you fix it? Is it worth repairing? Upload and share pictures of your sorting fun. Show us your bags and bins filled with sorted items and the results. Before and after pictures are the best and very popular these days! Happy organizing and may the best organizer win! 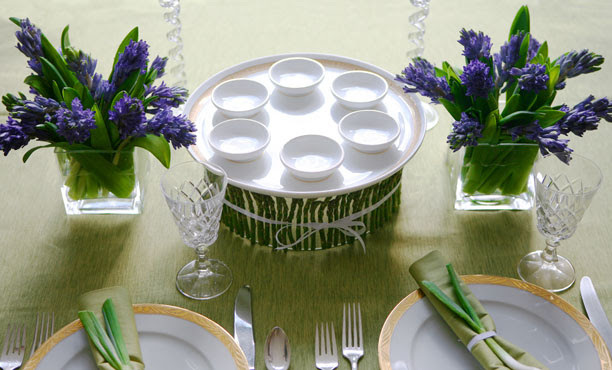 on Spring cleaning and preparing for Passover. Preparing for Pesach doesn't have to be stressful! and Pesach preparation more enjoyable. Debbie will cover all this and more on March 19th! Follow us on Facebook and stay tuned for our weekly home organizing tips!